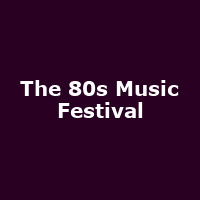 New for 2017, The 80s Music Festival is a celebration of all things '80s, taking place at Peterborough Arena, Cambridgeshire. The festival will take place over two days and as well as live bands will feature DJ sets, memorabilia, fashion and electronics. 2017 featured Aswad, Jocelyn Brown, Owen Paul, Odyssey, Five Star, Limahl, Tight Fit, The Real Thing, Modern Romance, Bon Giovi, Bootleg Bowie, Atomic Blondie and more.